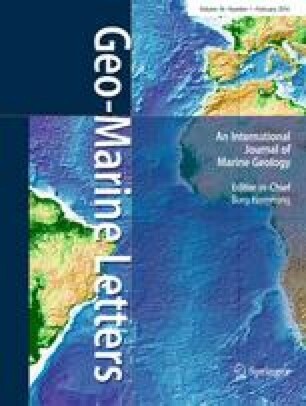 Combined micropaleontological and geochemical analyses of the high-sedimentation gravity core M-4G provided new centennial-scale paleoceanographic data for sapropel S1 deposition in the NE Aegean Sea during the Holocene Climatic Optimum. Sapropel layer S1a (10.2–8.0 ka) was deposited in dysoxic to oxic bottom waters characterized by a high abundance of benthic foraminiferal species tolerating surface sediment and/or pore water oxygen depletion (e.g., Chilostomella mediterranensis, Globobulimina affinis), and the presence of Uvigerina mediterranea, which thrives in oxic mesotrophic-eutrophic environments. Preservation of organic matter (OM) is inferred based on high organic carbon as well as loliolide and isololiolide contents, while the biomarker record and the abundances of eutrophic planktonic foraminifera document enhanced productivity. High inputs of terrigenous OM are attributed to north Aegean borderland riverine inputs. Both alkenone-based sea surface temperatures (SSTs) and δO18 G. bulloides records indicate cooling at 8.2 ka (S1a) and ~7.8 ka (S1 interruption). Sapropelic layer S1b (7.7–6.4 ka) is characterized by rather oxic conditions; abundances of foraminiferal species tolerant to oxygen depletion are very low compared with the U. mediterranea rise. Strongly fluctuating SSTs demonstrate repeated cooling and associated dense water formation, with a major event at 7.4 ka followed by cold spells at 7.0, 6.8, and 6.5 ka. The prominent rise of the carbon preference index within the S1b layer indicates the delivery of less degraded terrestrial OM. The increase of algal biomarkers, labile OM-feeding foraminifera and eutrophic planktonic species pinpoints an enhanced in situ marine productivity, promoted by more efficient vertical convection due to repeated cold events. The associated contributions of labile marine OM along with fresher terrestrial OM inputs after ~7.7 ka imply sources alternative/additional to the north Aegean riverine borderland sources for the influx of organic matter in the south Limnos Basin, plausibly related to the inflow of highly productive Marmara/Black Sea waters. The online version of this article (doi: 10.1007/s00367-015-0426-2) contains supplementary material, which is available to authorized users. This work was financially supported by the EU Marine ERA/MedEcos and EU/FP7 Perseus projects. We acknowledge constructive assessments by E. Malinverno and the journal editors. Conflict of interest: The authors declare that there is no conflict of interest with third parties.